Alpha 6 update adds multimedia module with audio support, update to Qt 5.2.2 and QtCreator 3.0 integration. What’s new in Qt Tizen Integration 1.0 Alpha 6? Audio support through Qt Multimedia module. Qt applications are not voiceless anymore. GStreamer 0.10 is used as audio backend. Video support is in progress. Qt Creator 3.0 integration. Now you can use newest version of your favorite IDE to develop Tizen applications. It is integrated with smart development bridge(sdb) server and prepared for integration with git build system. What’s new in Qt for Tizen Alpha 6? 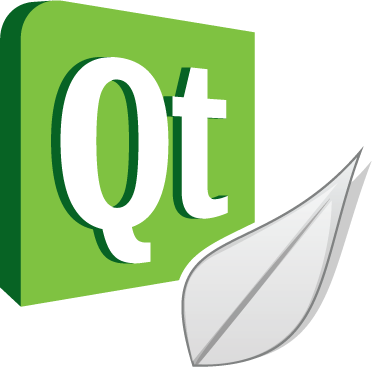 Qt for Tizen uses not yet released released Qt 5.2.2. Which Tizen profiles can use Qt? After integrating QtCreator with gbs, platform developers will be able to use Qt built for different profiles and different architectures on their desktop without any additional configuration. Detailed instructions for installation from scratch have been prepared for application developers at http://qt-project.org/wiki/Build-Qt-for-Tizen. They explain all prerequisites such as installing Tizen SDK and dependencies. The installation process has been tested with Ubuntu/Kubuntu 12 and 13. Users of previous release (Alpha 5) can follow this HOWTO. See this wiki page for a list of known issues. Qt for Tizen SDK support can be extended to other Linuxes, Windows and Mac OS X. Volunteers interested in that or in any other tasks are invited to contact (see Updates below). Feedback from application developers is highly welcome too. Remember, you can always join us! Not only as a software developer - if you love technology, a Media Partners program exists to better reach global and local communities and individuals potentially interested in Tizen and Qt for Tizen itself. QtCreator gbs support, QtMultimedia video support - some additional codecs need to be added to play video on RD-PQ, Deployment support for IVI devices. Our road map is developed in the open. Software development for this release has been contributed by Tomasz Olszak (build scripts, packaging, Qt Multimedia, Qt Creator plugin). Testing and improvements were offered by numerous other Qt Project contributors. All contributors are listed on the wiki page. Development mailing list is shared with general Tizen development list: dev@lists.tizen.org (subscribe here). Contact point for users of Qt for Tizen is shared with the Tizen Native Application Developers mailing list: application-dev@lists.tizen.org (subscribe here). Alternatively, use Tizen Native Application Development forum. Qt for Tizen is an initiative by software developers and for software developers, aimed at bringing the full Qt Creator-based developer experience to Tizen application design and development. Potential reuse of prior Qt, C++ and QML knowledge gained by several hundreds of thousands of software engineers is especially beneficial. The project is purely community-driven and free software/open-source friendly so anyone can join. Detailed introduction to the initiative is available on the Qt Project wiki.